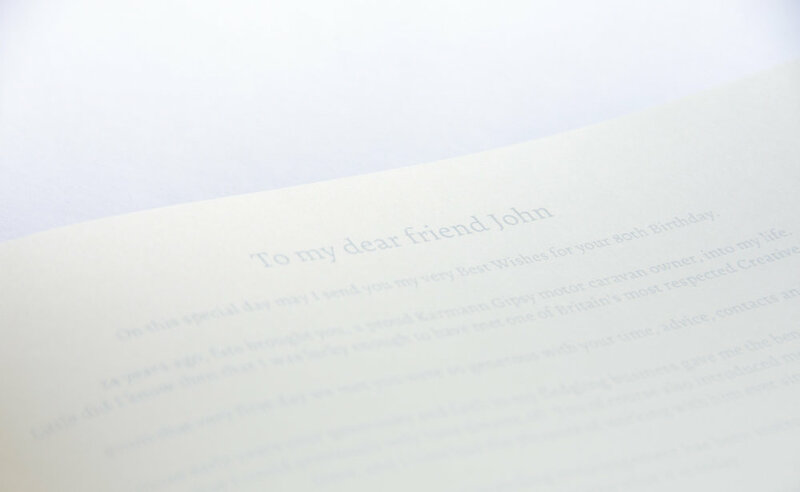 I was asked to make a Gift Journal to commemorate the 80th birthday of a very special friend and mentor of my customer - someone who had guided and helped him build up a very successful business so he wanted something unique, bespoke and fitting. 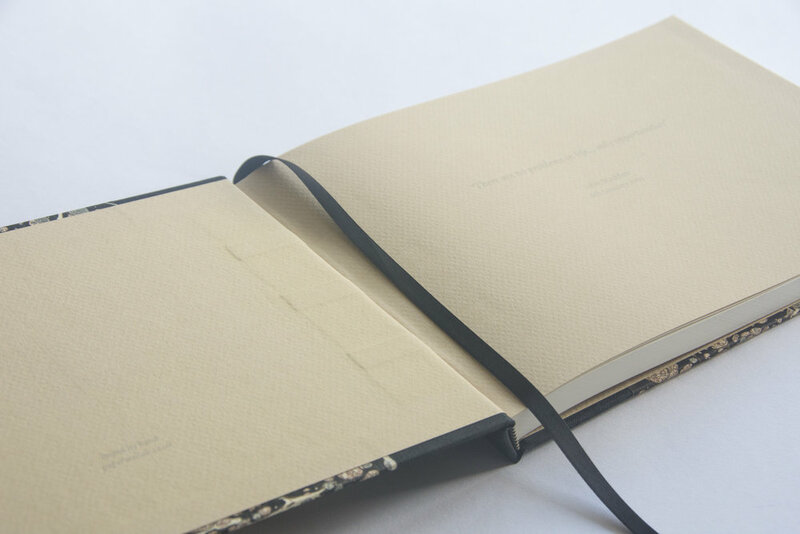 I made a landscape journal with a Dedication on the title page and quotations from the gentleman concerned on the endpapers. 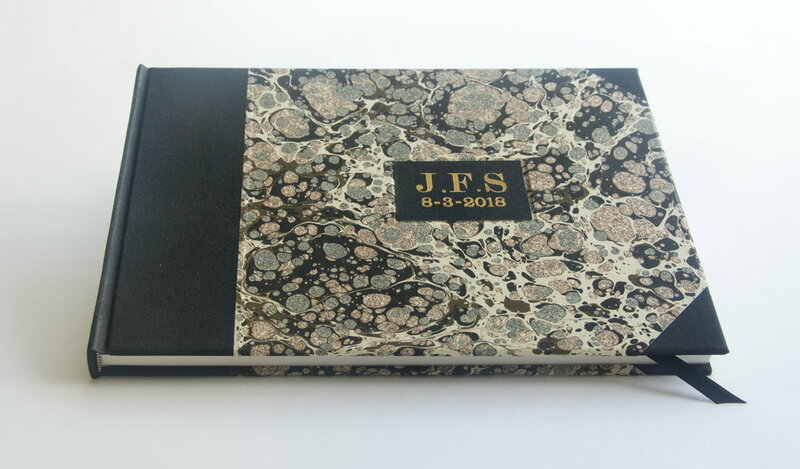 The case wrap and box lining is a lovely Jemma Lewis marbled paper in blacks and creams and I gold blocked the initials and birthday date on the book cover and added initial in relief lettering on the box front.